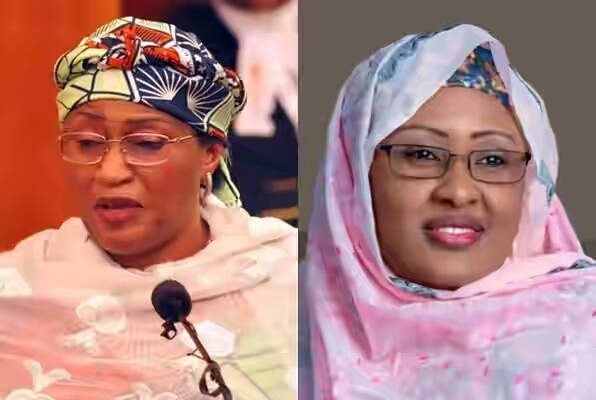 It is nearly one year ago that Aisha Buhari, the wife of President Muhammadu Buhari, placed him on alert: that she may not back him at the next election unless he shakes up his government. In her estimation, it had been hijacked by a few interlopers who were influencing his appointments. The former military chief made that remark at a press conference where he was standing next to Chancellor Angela Merkel. But she did not actually take back her previous remarks, and the point had been made, the damage quite considerable. Speaking to the BBC Hausa service, she disclosed that Mr. Buhari has indicated he will not run for re-election, but that should he declare his candidature, she would not be supporting it. And then Aisha II went farther and faster than any political animal before her, especially those of the masculine variety: for the presidency in 2019, she said, she would support former Vice President Atiku Abubakar instead. It is no surprise that, overnight, the words of Aisha II threw the entire Nigerian political landscape into chaos, and began an early process of redefinition and reconfiguration. Now, if APC is to have a shot at the presidency in 2019, not only must Mr. Buhari make an early clarification of his intentions, the party itself faces restructuring if it is to have a future, a process Buhari’s government is ironically afraid of at the centre. There is another irony: the question of rooms, and who has the right to do what to whom and in what room. In October 2016, Mr. Buhari tried to restrict his wife to a few non-political rooms around the estate, but it would appear he misjudged the challenge.